Thanks to Ms. Q for the color comparison. "The Latest! Power Purple, Light Flare CRB (? 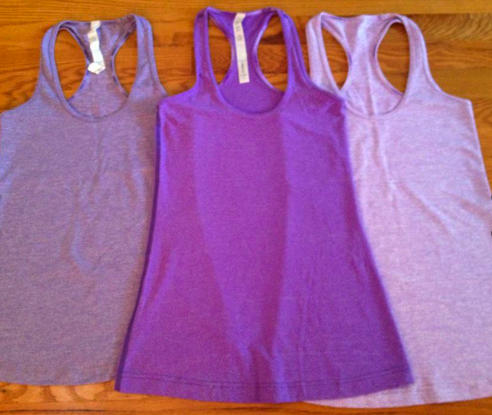 ), Team Spirit LS and SS, Currant Run Inspire Crops and More"
"Light Flare Cool Racerback Tank"